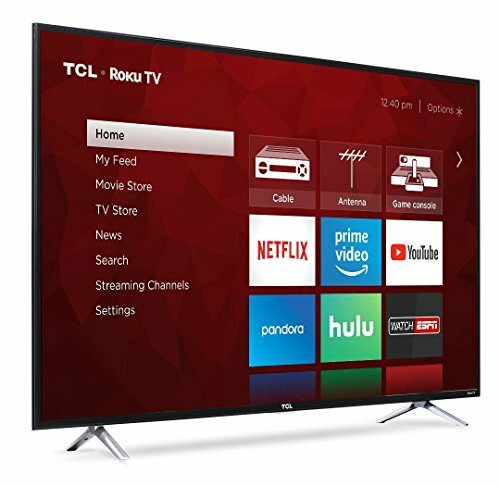 The Roku Smart TV from TCL features a 55-inch wide screen—perfect for watching the big game or playing multiplayer first-person shooters with your best friends. This highly immersive screen size also can’t be beaten for streaming your favorite movies and shows. Direct-lit LED is a great feature to have if you prize high-quality images with very few defects. Even today, many LED TVs feature edge-lit LED, where the LED lights are located on the edges of the screen. While some edge-lit LED TVs have very great picture quality, there will always be a problem with contrast and odd dimming. The benefit with direct-lit LEDs is you don’t get these weird dark patches and the contrast ratio is better, so brights are brighter and darks are darker—overall, images simply pop more. 4K Ultra HD is what everyone is raving about these days and it’s easy to understand why. While HDTV has been around a long time now, 4K Ultra HD is, what many call “true” HD. Essentially, it has way more pixels per inch than a standard HD picture, so the images come through with higher resolution. The result is the shows and movies you love look more like real life than ever before. And if you’re worried about how this might affect gaming, don’t be. More and more games are using 4K textures to make their games look great—4K Ultra HD is a technology that’s here to stay. HDR stands for High Dynamic Range, and it does some really cool things for the image quality of your TV. HDR affects both color and contrast. Basically, it amps up how bright brights can get and how dark darks can get, expanding their range to be truer to what we see in real life (except better, obviously). Additionally, the RGB spectrum is also expanded. Reds, greens and blues have far more range and depth than without HDR; this creates an overall better color display. What you get is ultimately better overall image quality. In fact, TVs with less pixels will often feature a lot of color depth to make up for what they lack, so when you add HDR to a 4K Ultra HD TV, you get an unparalleled viewing experience. Without going into too much geeky detail, a refresh rate is how many times the image refreshes per second. On modern TVs, PCs, etc., this happens so fast, we can’t perceive it’s happening. In other words, there’s none of that flickering that 1920’s movies are famous for. Even refresh rates on the lower end of the modern spectrum pretty much eliminate the whole flicker issue. But what a high 120Hz refresh rate does is it simply makes the TV more pleasant to watch. It reduces eyestrain—it simply makes everything look and feel smoother. The TCL Roku Smart LED TV is, as you might have guessed, a Smart TV. It comes with its own Wi-Fi built-in, and you have the option to connect it to ethernet. What’s better, and more practical, is that the ability to stream movies and shows, for instance, is entirely built-in. You don’t need a separate Roku box or other streaming box to make the whole streaming thing work. Everything you need to stream is already built-in, and you immediately have access to over 4,000 streaming channels, nearly half a million movies and TV shows with Roku TV. Plus, you get a handy free trial of Hulu, and, of course, you can also use it to stream Netflix and Amazon—whatever your preferences, they’re already built-in to this TV. Roku Search allows you to search for what you want to watch—the way you want to search for it, meaning you can search by director, actors, etc., going beyond the standard title search thing. Additionally, the free Roku app allows you to do voice search. Everything you could possibly want to use your Roku TV for is ready and waiting for you right in the main interface. You can easily switch from watching TV, to watching Netflix, to gaming all from one, centralized location, simplifying a process that can be a headache when numerous menus are involved. The Roku remote is effortless to use. 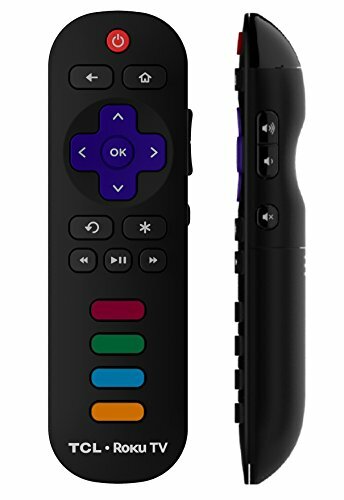 Featuring a minimal number of buttons and easy to read visuals, the Roku remote pairs well with the simplified, centralized interface to make watching TV fun again. With the free Roku App—available for smartphones and tablets—you can control your TV no matter where you are. Think of it as an extra remote—an extra remote that has extra, powerful functions. Additionally, you can also stream shows. The built-in dual band Wi-Fi enables you to start watching on your new Roku Smart TV the moment you set it up. All you need is wireless internet access. 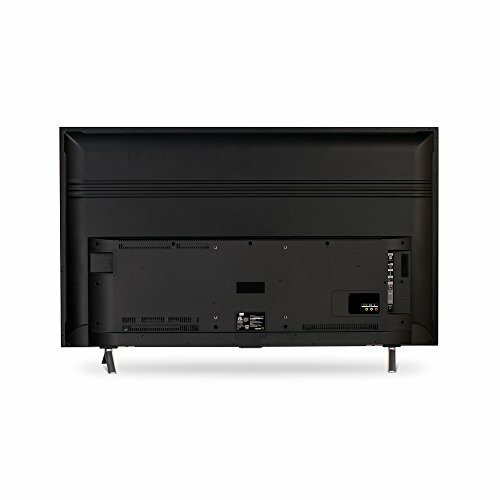 Aside of all of the Roku streaming channels you get, this TV is also compatible with cable, antenna and satellite as well as non-Roku streaming services (think Hulu). Essentially, it’s great on its own, but by adding cable, for instance, you get the benefit of having access to local news and weather, among other things. The wide variety of viewing options are a huge strongpoint with this device. The TCL 4K Roku Smart TV features a very robust level of connectivity. With three HDMI 2.0 ports (two with HDCP 2.2 and one with HDMI ARC), USB for media, headphone jack, optical audio out, composite, RF and ethernet, you can use your Roku Smart TV as your go-to device for most media; if you’re looking for gaming connectivity, this thing’s got it in spades, too. The sleek TCL Roku Smart TV makes a fine first impression. The looks are good and it’s lightweight, making it very easy to hang. The interface is really solid and lives up to the hype. It’s super easy to use. I would reckon that even if your grandma had never used a smart TV before, she could pick up how to use this one real fast. It has that straightforward simplicity we’re all wanting to harken back to—except with insanely robust modern features, like the ability to switch to your console or go to Netflix straight from the main interface. It has a little something for everyone right front and center, and it makes finding what you were looking for really easy. On that note, searching couldn’t be easier. Have you ever had that experience where you know there’s this movie and you know some actor was in it, but you can’t remember the movie? Now, you don’t have to go logon to your laptop and Google it, wasting your precious time. Instead, simply search the actors name and BAM—movie found. It’s that simple. The remote is super simple too. It’s got a lot less buttons, which may worry you a little, but don’t let it—the streamlined functionality of the interface and smart functions negate the need for a remote control covered in doodads. It’s very straightforward and goes perfectly with the modern interface. 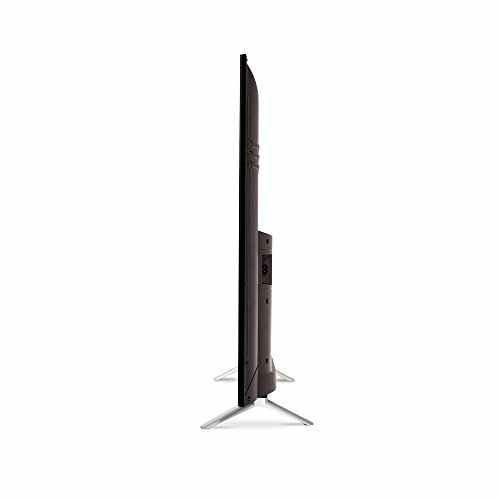 Practical features like built-in dual band Wi-Fi, HDMI 2.0, USB and other connectivity options allow you to really tailor this TV to your liking. Speaking of which, it doesn’t just stream Roku TV and movies. You can also hook up cable, satellite, antenna and make it your own with local news, sports and weather. You can also sign-in to other streaming services like Netflix, YouTube Red, Amazon and Hulu, the latter of which you get a full 2-month free trial included with purchase of this TV. I guess what I find most impressive about the Roku Smart TV is its comprehensiveness. You feel like they’ve thought of everything. It has all the things you need and want and you can make the experience your own, as I mentioned above. Add in great visuals and you have yourself a true winner. You have to keep the Roku App updated or there could be some issues with getting it to work properly with the TV—but this isn’t really a big deal since updating is quick and free. Additionally, in the meantime, you can simply use your remote while waiting to update. If you’re using this TV in tandem with digital cable, you may have to adjust the aspect ratio. This is no big deal and completely solves visual problems, though it can be a bit annoying. Luckily, you only have to adjust it once. Lastly, the sound quality isn’t great. 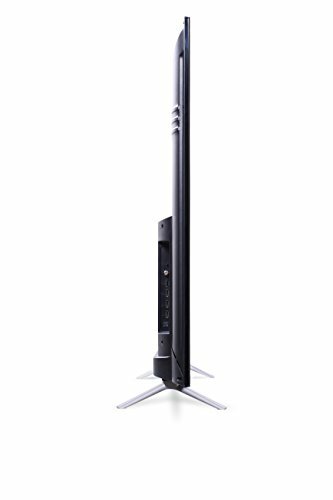 This, however, is not exclusive to the TCL as most flat screen suffer from weak speakers lacking true depth. The sound quality is good enough for watching TV and movies, but you don’t expect the speakers to compete with a decent home entertainment system. 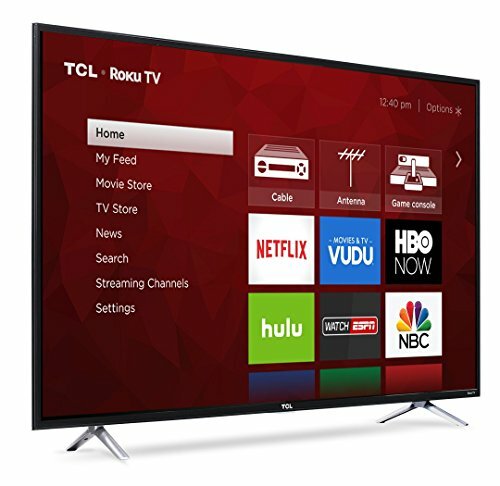 The TCL 4K Roku Smart LED TV is an excellent buy for anyone who craves versatility in their TV. Not only do you get 4,000 Roku streaming channels, you can also use it with cable, satellite, antenna, and non-Roku streaming services like Netflix and Hulu, making it a great—and versatile—bang for your buck. And thanks to the HDR feature, and 4K Ultra HD resolution, video quality is top-notch. I definitely recommend this one! Previous Post DIY TV Streaming Box: Khadas Vim2 Review Next Post Fire TV vs Fire Stick – Which one is right for you?